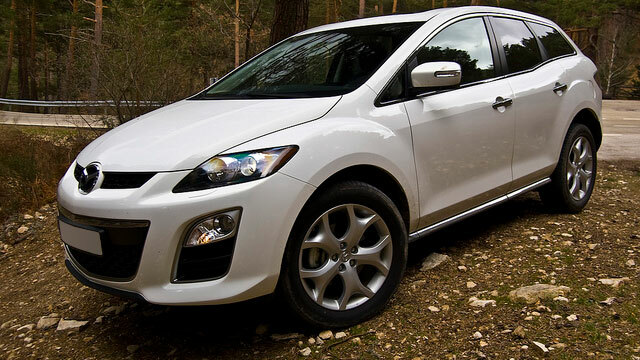 Has the time come for Mazda service and repair? If your answer is yes, then you are in luck, as the diesel auto mechanics at Dry Fork Diesel & Auto LLC in Carthage are ready and willing to get you and your Mazda back on the road. With us, we understand time is money, which is why we, even though we specialize in diesel auto repair, would be happy to service your Mazda as well as your diesel-powered car or truck. Despite our specialization in diesel auto repair, our diesel auto mechanics are well-rounded in servicing virtually all other makes and models. And our facility is equipped with state-of-the-art tools and technology to match our team’s level of expertise. Bring your Mazda to Dry Fork Diesel & Auto LLC in Carthage, and our diesel auto mechanics will thoroughly inspect your Mazda for any signs of trouble. Most of our clients, reigning from Carthage and the surrounding communities, trust our diesel auto mechanics to fix it right the first time. They count on our team to accurately diagnosis their Mazda, perform the appropriate repair, and keep them in the loop throughout the entire process. Our reputation as a trustworthy and fair diesel repair shop didn’t just happen overnight, as our team at Dry Fork Diesel & Auto LLC in Carthage works hard to earn your trust and loyalty. It can be a struggle to find a trustworthy auto repair shop, let alone a facility with the equipment and expertise necessary for diesel auto repair. We are here to tell you that your struggle is over. Dry Fork Diesel & Auto LLC specializes in diesel auto repair, and we are trusted to fix, anything from a Sprinter Van to a Freightliner, right the first time. For Mazda service, schedule an appointment today. We are located at 16740 County Road 138 Carthage, MO 64836.